The largest of all muntjac species, the Large-antlered or Giant Muntjac stands at a height of approximately 65-80cm and weighs between 30-50kg. Along with its size it is characterised by a red-brown coat and large antlers with impressive tines. A little-known and extremely elusive species, the Large-antlered Muntjac was first described in 1994 from a skull specimen that was found in Vu Quang National Park in Ha Tinh Province, Vietnam. It has continued to evade researchers, only revealing itself through camera trap photos or through trophy antlers. Due to its elusive nature, relatively little is known about the Large-antlered Muntjac. 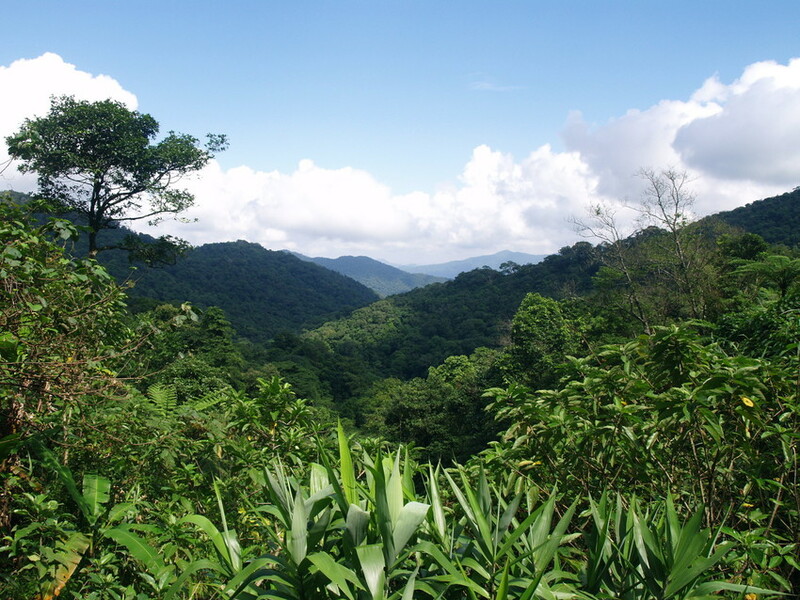 Endemic to the Annamite mountain range of Vietnam, Laos and Cambodia, it is thought to share its distribution with better known species such as the Crested Argus and the Red-shanked Douc in the evergreen and semi-evergreen forests that are characteristic of the mountain range. In 2016, the Large-antlered Muntjac was uplisted from Endangered to Critically Endangered on the IUCN Red List of Threatened Species, sharing the status of the enigmatic Saola, another endemic ungulate of the Annamites that was described only a year before the Large-antlered Muntjac. Hunting is the primary threat to the Large-antlered Muntjac, with extremely high hunting pressure over its range, for meat and the illegal wildlife trade. This is exacerbated by habitat loss and socio-economic factors such as the expansion of agriculture and development of infrastructure. Rampant and indiscriminate snaring is a major factor contributing to the decline of large mammals in south-east Asia, with the laying of snares widespread across the muntjac’s range. Ensuring the management of protected areas, like World Land Trust’s project with Viet Nature at Khe Nuoc Trong, is key to the survival of Large-antlered Muntjacs. Ongoing surveys, research and camera traps will hopefully reveal more about this secretive and highly threatened mammal. The uplisting of the Large-antlered Muntjac highlights the global importance of Khe Nuoc Trong for ungulates. 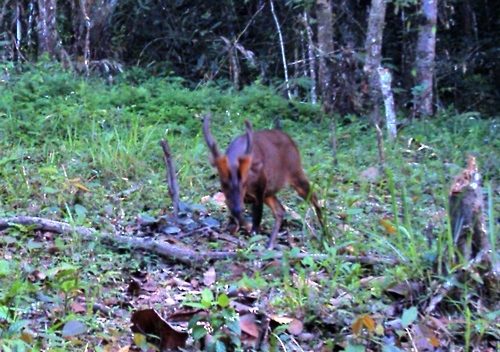 Currently, Khe Nuoc Trong is the only site in Vietnam with several confirmed records of Large-antlered Muntjac, with 6-7 individuals recorded.